Young and aspiring actor Raj Tharun shot fame after he scored three massive hits in his careers like Uyyala Jampala, Cinema Chupista Mama and Kumari 21 F. All the three films have been declared as blockbusters, and he became a huge sensation all over. Raj Tharun has been flown with a number of offers, and he then came up with Seethamma Andalu Ramayya Chitraalu. 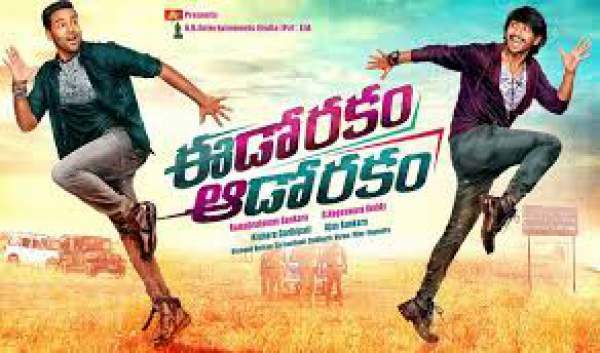 The movie ended up as a debacle, and the media started criticizing the actor after which he signed a film along with Manchu Vishnu in the direction of G Nageswhar Reddy, who directed many comedy entertainers in the past. He even directed Denikaina Ready with Manchu Vishnu in the past, and he recently directed Current Theega with Manchu Manoj. The movie has been titled as Eedo Rakam Aado Rakam. ERAR is said to be a full-length comedy entertainer and Vishnu; Raj Tharun played the lead roles. Sonarika Bhadoria and Heebah Patel played the female leads in the film, and Sai Kartheek composed the music. MR Varma is the editor and Siddarth are the cinematographer for it. Top producer Anil Sunkara produced the movie which has been made on a massive budget on AK Entertainments banner. The film has been slated for a wide release all over on April 14th across the world on 1200 screens. The movie opened with 60% occupancy for the first show, and the movie received a wide response from the audience all over. The collections caught fire and the afternoon shows witnessed packed houses because of the positive word of mouth. The movie collected Rs 2.8 crores on its first day across the Telugu speaking states Andhra Pradesh and Telangana. The entertainment throughout the movie along with the performances by the lead actors are said to be the major highlights of the film. Rajendra Prasad, Posani Krishna Murali, Sreenivas Reddy, Prabhas Seenu, Vennela Kishore, Ravi Babu, Thagubothu Ramesh and Fish Venkat played the other important roles. The flick has been declared as a hit and the movie is expected to mint huge money in its first weekend.